Hinman Construction grabbed this interactive map from Remodeling.com to show you the cost vs. value report from across the country. 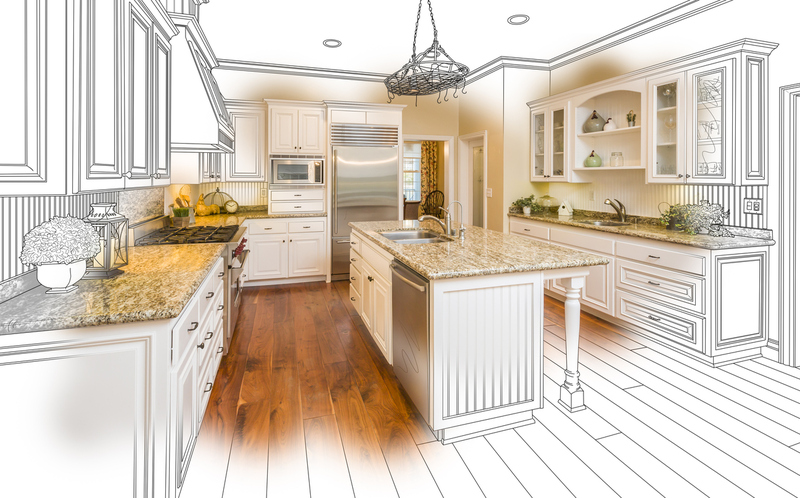 This map compares the average cost for 29 popular remodeling projects with the value those projects retain at resale in 99 U.S. markets. Click here to view the map. The 29 projects in the 2017 report paid back an average of 64.3 cents on the dollar in resale value. We add and remove projects just about annually, but if you focus solely on the 24 projects that we’ve tracked for the past six years, their payback for 2017—also 64.3 cents—is only about three-quarters of a penny higher than in our report for 2016. Those changes are minimal because the differences in the underlying numbers are minimal. The average cost for those 24 projects rose 3%, while the value that real estate pros put on the projects went up 4.2%. Minor gains, yes, but welcome ones compared with the trauma induced by the Great Recession nearly a decade back. Both recent and long-time trends continued. “Curb appeal” projects­—changes to doors, windows, and siding—by and large generated higher returns on investment than work done inside the home. Meanwhile, projects that called for replacing something, like a door or window, scored higher among real estate pros than did remodels. As was the case last year, putting loose-fill insulation in an attic is the only project that returns a higher value than its cost. It came in at 107.7%. Next up is the steel door replacement, a perennial high finisher, at 90.7%, followed by manufactured stone veneer at 89.4%. Those projects that packed the biggest payback also are three of the five cheapest to complete, which helped their cost-recouped scores. But none of the three scored as high this year as last because the cost of doing them rose faster than their perceived value. In general, the lower-priced the project, the higher the percentage of costs that goes to materials. Over this past year, manufactured stone veneer costs increased 4.4%, while the cost to install a steel door went up 5.8% and the price to put in loose-fill fiberglass insulation rose 5.9%. In contrast, several of the most expensive projects—the upscale bathroom remodel, upscale master suite, two-story addition, grand entrance, and family room—saw the biggest year-over-year percentage increases in value, rising between 5.6% and 7.4%. All those increases outpaced the rise in cost to accomplish the projects, and suggest that real estate pros are rating such home improvements more highly than they did half a decade ago. Why? Because the real estate market continues to recover. According to the National Association of Realtors, the median price of an existing home sold in September was $234,200, up 5.6% from a year before and the 55th consecutive month of year-over-year gains. Meanwhile, the S&P/Case-Shiller U.S. National Home Price Index found that the price of a new home in major metro markets rose 5.3% in August from the year before. In general, when home prices go up, real estate professionals feel better about how much a project will increase a home’s value, and they score the project accordingly. Timing also figures here. The backup power generator had a payback in the 40s prior to our 2014 report, but that year it spiked to 67.5%. That’s because real estate pros were surveyed for that report in late 2013, just after Superstorm Sandy struck. The further we get from that event, the less of a payback the generators become; their cost recouped slipped to 54% this year from 59.4% in last year’s report. Both cost and value vary dramatically based on where you live. For instance, a midrange bathroom remodel costs 57% more in metro New York than in El Paso, Texas. The family room addition that costs just over $79,000 in Greenville, S.C., will set you back nearly $101,000 in Seattle. In all cases, the costs cover not just materials and labor but also such factors as subcontractor payments, taxes, worker’s comp insurance, general overhead—including the cost of an office, a website, a phone number, utilities, company vehicles, and equipment—and a reasonable profit. The value metric also has its share of variation, but in that case it’s the comps that matter, not the price of labor or materials. For instance, the value at resale of the same backyard patio was rated 27% higher by real estate pros in the Orlando market than by their peers in Houston. One reason why might be that median home prices in Orlando were up 14% in October from where they were 12 months earlier, while Houston’s median rose only 6.3%. In general, the hotter the market, the bigger the payback. In San Francisco, 21 of the 29 projects had cost-recouped values above 100%, and in San Jose it was the same for 16 projects. Meanwhile, there’s barely a handful of 100% projects in all of the Rust Belt markets combined. One-third of the 99 markets we checked nationwide lack a single project with over 100% return—this despite the fact that every one of the 29 projects has a 100% payback in at least one market nationwide, and about 10% of all 2,871 projects had a triple-digit ROI. Regional differences held true to past patterns. In the Pacific census division (California, Oregon, Washington, Alaska, and Hawaii), the average payback for all projects was 78.2%, and 10 projects posted cost-recouped levels of at least 90%. Contrast that with the East North Central states of Ohio, Indiana, Michigan, Illinois, and Wisconsin. Their average was just 54.9%, and no single project had a census division average payback of as much as 80 cents on the dollar. Nationally, the average payback for the 24 projects that we’ve tracked throughout this decade has ranged between 58% and 66%. Costs have risen each of the past four years, following a time in which the Great Recession caused prices to fall. Values have seen bigger shifts, rising the past two years after having declined in three of the previous four. To view the Key Trends article in its entirety, click here. 2015 Best in Building Award for Best Remodeler Website!